DDF Bio Moisture Eye Serum (formerly Bio-Molecular Firming Eye Serum) has been specially produced for use on the delicate eye area. This intensive serum contains a blend of Dimethicone and Glycerin to provide long lasting hydration which is bound to the skin. A combination of Proteins and Peptides help to firm and protect the delicate skin in the eye area to leave it looking younger. 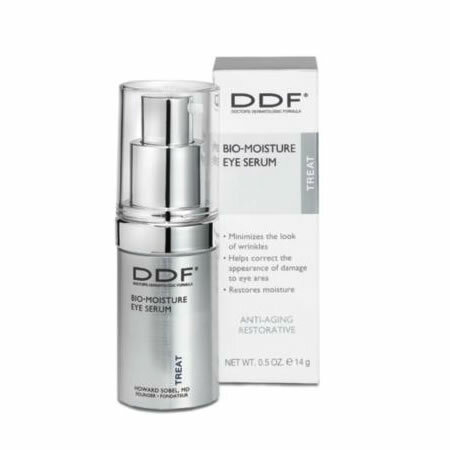 DDF Bio Moisture Eye Serum also reduces the appearance of fine lines and wrinkles. The firming eye serum is suitable for all skin types, but ideal for aging skin.